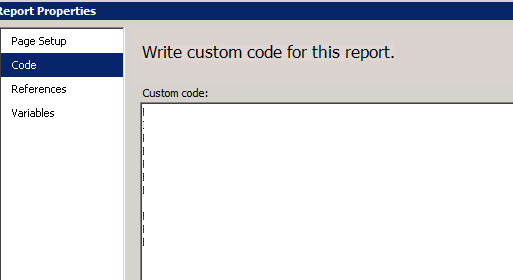 So, when you get an error like this, look for missing custom code in the SSRS report. If you look at the expression which is throwing the error, you’ll see something like code.<custom function> in the expression. To solve the error, you’ll have to define the custom function for your report. In my case, I had to copy the code from the existing report to the new version of report that I was working on. I hope this helps if you run into this SSRS error. SSRS: Why I prefer shared data source over embedded data source?